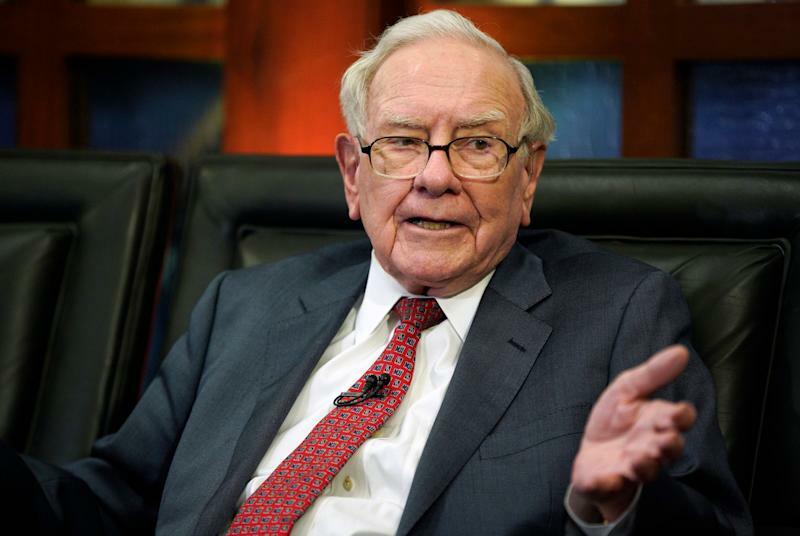 Legendary investor Warren Buffett plans for more share repurchases at Berkshire Hathaway ( BRK-A , BRK-B ) and even praised other companies he’s invested in for buying back stock. Writing in his widely-read annual letter , Buffett said Berkshire "will be a significant repurchaser of its shares." Buffett added that these transactions "will take place at prices above book value but below our estimate of intrinsic value." This comes as stock buybacks have come into focus after Senate Minority Leader Chuck Schumer (D-NY) and Senator Bernie Sanders (I-VT) railed against the practice in a widely circulated op-ed and put forth legislation to curb buybacks, which the pair described as a "practice of corporate self-indulgence." Buffett obviously isn’t interested in bending to political noise. His priority is to do what’s in the best interest of shareholders. What’s noteworthy is buybacks have been a rare move for Buffett’s Berkshire. During the third quarter of 2018, Berkshire repurchased $928 million worth of stock. Buffett, who is 88 and has run Berkshire for over 50 years, has only done buybacks twice before — once in 2011 for $67 million and again in late 2012 for $1.3 billion to buy 9,475 A shares and 606,499 B shares from the estate of an unnamed shareholder. Later on in the annual letter, Buffett said the repurchases by Berkshire will benefit both shareholders leaving and those who stay. He acknowledged that the upside for investors selling their shares is "very slight," but there's "some benefit" from having an extra buyer of those shares. Those who stay invested reap the benefits. "For continuing shareholders, the advantage is obvious: If the market prices a departing partner’s interest at, say, 90¢ on the dollar, continuing shareholders reap an increase in per-share intrinsic value with every repurchase by the company. Obviously, repurchases should be price-sensitive: Blindly buying an overpriced stock is value-destructive, a fact lost on many promotional or ever-optimistic CEOs," he wrote. Buffett added: "When a company says that it contemplates repurchases, it's vital that all shareholder-partners be given information they need to make an intelligent estimate of value. Providing that information is what Charlie and I try to do in this report. We do not want a partner to sell shares back to the company because he or she has been misled or inadequately informed." Elsewhere, while discussing Berkshire's nearly $200 billion equity portfolio, Buffett wrote that most of those companies use a portion of their stained earnings to buy back stock. "We very much like that: If Charlie and I think an investor's stock is underpriced, we rejoice when management employs some of its earnings to increase Berkshire's ownership percentage." He pointed to American Express ( AXP ), a Berkshire holding that's remained unchanged in 8 years, as an example. According to Buffett, Berkshire's ownership has grown from 12.6% to 17.9% because of share repurchases by the company. "Last year, Berkshire's portion of the $6.9 billion earned by American Express was $1.2 billion, about 96% of the $1.3 billion we paid for our stake in the company. When earnings increase and shares outstanding decrease, owners — overtime — usually do well." "As the subject of repurchases has come to a boil, some people have come close to calling them un-American — characterizing them as corporate misdeeds that divert funds needed for productive endeavors. That simply isn’t the case: Both American corporations and private investors are today awash in funds looking to be sensibly deployed. I’m not aware of any enticing project that in recent years has died for lack of capital," Buffett wrote at the time. Buffett also wrote that there are two instances when buybacks shouldn't take place. First, if the company needs capital for long-term investments in its business and doesn't want to add more debt. And second, if the company needs the money for an acquisition or another investment opportunity that would offer "far greater value than do the undervalued shares of the potential repurchaser." Buffett’s right-hand man, Charlie Munger, the vice chairman of Berkshire Hathaway, recently weighed in on the controversial matter of stock buybacks and presidential candidates proposing tight restrictions earlier this month from the Daily Journal’s ( DJCO ) annual meeting in Los Angeles. "Generally speaking, I'm restrained in my enthusiasm for politicians telling corporations what they should do,” Munger said in response to a question about buybacks from Yahoo Finance. "But, I will say this — when it was a very good idea for companies to buy back their stock, they didn't do very much. And the stocks got so high priced it's created a bad idea. They're doing it a lot. Welcome to adult life. This is the way it is," Munger said. "But, it's questionable at present levels whether a lot of it is smart." During his reply, Munger singled out hedge fund manager Eddie Lampert and Sears ( SHLDQ ). "Is Eddie Lampert smart to buy back so much Sears Roebuck? No. And a lot of those that allowed that kind of mistake that's been made."